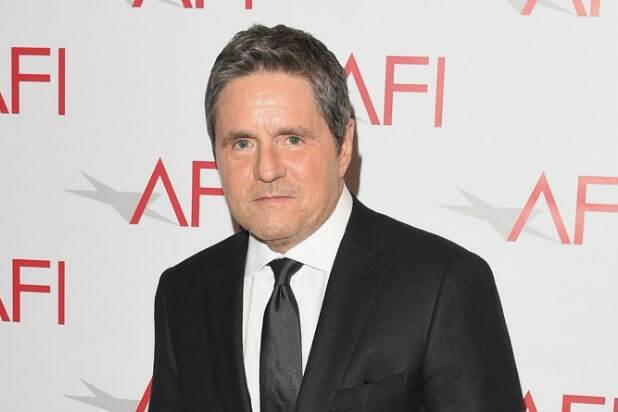 Brad Grey, producer, manager and the former chairman and CEO of Paramount Pictures, has died. He was 59 years old. In February, Grey stepped down from his position at Paramount Pictures, seven months after a tense legal battle between one of his closest partners at the studio, former Viacom chairman Philippe Dauman, and Shari Redstone, daughter of Sumner Redstone. The elder Redstone’s failing health forced him to step down as chairman of CBS and Viacom, prompting a struggle between his daughter and Dauman over control of the conglomerate. The dispute ended with the Redstones holding on to their controlling stake in Viacom. Grey, who served as chairman and CEO of Paramount from 2005 to 2017, indicated he would “look forward to new adventures” when he stepped down in late February, also promising to remain engaged in official Paramount business as the company transitioned under new head Jim Gianopulos, former chair of Fox’s film division. Grey got his start in Hollywood while studying at the University of Buffalo, where he met Miramax founder Harvey Weinstein and assisted him with his concert promotion business. From there, he moved into stand-up comedy promotions, during which time he met Bernie Brillstein, the man with whom Grey would co-found his former company, Brillstein-Grey Entertainment. Through Brillstein-Grey, Grey started a career as a producer that has put his name next to some of the most well-known programs on television, including HBO megahits like “The Sopranos” and “Real Time with Bill Maher.” His success as a producer has earned him multiple Golden Globes, BAFTAs, PGAs and Emmy Awards, as well as a four Peabody Awards. See Brad Grey's latest POWER MOVE. One of Grey’s biggest claims to fame was his partnership with the late Garry Shandling, with whom he produced the comedian’s two hit series, “It’s Garry Shandling’s Show” and “The Larry Sanders Show.” Running from 1986 to 1998, the two shows helped make Shandling one of the most famous comics of his generation and helped put Brillstein-Grey on the map. But the partnership between the two collapsed into acrimony when Shandling sued Grey for allegedly taking fees from him and HBO for “The Larry Sanders Show.” This led to Grey counter-suing for breach of contract, with both suits eventually being settled out of court. In 2002, Grey formed a partnership with Brad Pitt and Jennifer Aniston that gave rise to Plan B Entertainment, the studio through which Grey won an Academy Award for Best Picture in 2007 as producer for Martin Scorsese’s “The Departed.” In 2005, Grey was named the CEO of Paramount Pictures, and that same year, he and Pitt moved Plan B under Paramount’s umbrella following Pitt’s separation from Aniston. A small private funeral service will be held later this week. A memorial service will be scheduled in the coming weeks. Grey is survived by his wife Cassandra Grey, their son Jules, his three children Sam, Max and Emily from his marriage to Jill (nee Gutterson) Grey, his mother Barbara Schumsky, his brother Michael Grey and his sister Robin Grey.